David Moss over at the Register has been exploring some of the figures on the reliability of the fingerprint, facial recognition and iris biometric technologies that will underpin the UK's national ID card system. "Until the 16th century, educated opinion, as codified by Ptolemy, held that the Earth is at the centre of the universe. Then along came Copernicus. On 29 June 2009, the Identity & Passport Service (IPS) published their latest paper on the National Identity Service (NIS). According to Safeguarding Identity (http://dematerialisedid.com/PDFs/13439_Safeguarding_Identity_w_opt.pdf) (pdf), "the vision for the NIS is that it will become an essential part of everyday life, underpinning interactions and transactions between individuals, public services and businesses and supporting people to protect their identity" (para.3.32). Placing the NIS at the centre of social interaction like this makes IPS about 92 million miles wide of the mark." It's a nice summary of the numbers. Here's a really interesting paper from Ed Felten and his colleagues at Princeton University Center for Information Technology Policy, Government Data and the Invisible Hand (Yale Journal of Law & Technology, Vol. 11, p. 160, 2009 ). If the next Presidential administration really wants to embrace the potential of Internet-enabled government transparency, it should follow a counter-intuitive but ultimately compelling strategy: reduce the federal role in presenting important government information to citizens. Today, government bodies consider their own websites to be a higher priority than technical infrastructures that open up their data for others to use. We argue that this understanding is a mistake. It would be preferable for government to understand providing reusable data, rather than providing websites, as the core of its online publishing responsibility. Rather than struggling, as it currently does, to design sites that meet each end-user need, we argue that the executive branch should focus on creating a simple, reliable and publicly accessible infrastructure that exposes the underlying data. Private actors, either nonprofit or commercial, are better suited to deliver government information to citizens and can constantly create and reshape the tools individuals use to find and leverage public data. The best way to ensure that the government allows private parties to compete on equal terms in the provision of government data is to require that federal websites themselves use the same open systems for accessing the underlying data as they make available to the public at large." President Obama has announced that the US will be spending an extra $12 billion on education initiatives in community colleges in the next ten years in an effort to make higher level qualifications accessible to an extra 5 million US citizens. Part of the plan is to create entirely open online courses that anyone can take. "Create a New Online Skills Laboratory: Online educational software has the potential to help students learn more in less time than they would with traditional classroom instruction alone. Interactive software can tailor instruction to individual students like human tutors do, while simulations and multimedia software offer experiential learning. Online instruction can also be a powerful tool for extending learning opportunities to rural areas or working adults who need to fit their coursework around families and jobs. New open online courses will create new routes for students to gain knowledge, skills and credentials. They will be developed by teams of experts in content knowledge, pedagogy, and technology and made available for modification, adaptation and sharing. The Departments of Defense, Education, and Labor will work together to make the courses freely available through one or more community colleges and the Defense Department’s distributed learning network, explore ways to award academic credit based upon achievement rather than class hours, and rigorously evaluate the results." It's a nice idea but that single (if lengthy) paragraph worryingly conflates a lot of complex ideas - access to knowledge, access to formal education, credit for skills and experience already acquired, supported open learning at a distance, exploitation of technologies to facilitate education and learning, open content, sustainable open content business models, personal social and economic capacity to engage in formal education - and hints at that old chesnut of an underlying assumption that 'the computer automatically does education better faster and cheaper'. They need to disentangle and run with all of those things, play with the technologies and most importantly use those technologies for what they are good at rather than trying to shoehorn them into doing things they are not good at better faster and cheaper. William Patry has a new blog, Moral Panics and the Copyright Wars. Hurray! Pamela Samuelson has been pointing out again the audacity of the Google book search settlement. "Exploiting an opportunity made possible by lawsuits brought by a small number of plaintiffs on one narrow issue, Google has negotiated a settlement agreement designed to give it a compulsory license to all books in copyright throughout the world forever. This settlement will transform the future of the book industry and of public access to the cultural heritage of mankind embodied in books. How audacious is that?" When David Cameron spoke last month about "a new era of Google government" in an effort to sell his modern high tech trendy image of the future I didn't pay a whole lot of attention to it. It was just another soundbite but given his plans to cure the current government's national programme for IT in the NHS by scrapping it and handing our medical data to Google and Microsoft instead I probably should have taken notice. The British Medical Association are sufficiently concerned at the idea that they've issued a press statement expressing their worries about the security of web based database systems and warning of the need for very strong safeguards and the "highest possible standards for privacy, accuracy, security, and useability." The Independent has picked up the story too, keen to emphasise the fact that David Cameron's "chief strategist, Steve Hilton, is married to Rachel Whetstone, Google's vice president of public policy and commumications." James Boyle on a song's tale. Educational and entertaining as ever. 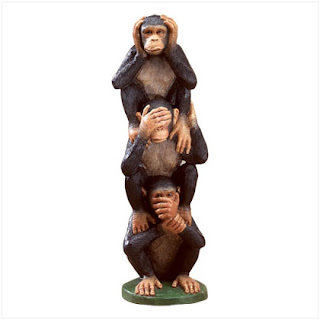 The Guardian has reportedly seen a letter, from the Association of Chief Police Officers, telling chief constables to ignore the ruling in the European Court of Human Rights in the S. and Marper v UK case last December. "Chief constables across England and Wales have been told to ignore a landmark ruling by the European court of human rights and carry on adding the DNA profiles of tens of thousands of innocent people to a national DNA database. Senior police officers have also been "strongly advised" that it is "vitally important" that they resist individual requests based on the Strasbourg ruling to remove DNA profiles from the national database in cases such as wrongful arrest, mistaken identity, or where no crime has been committed. European human rights judges ruled last December in the S and Marper case that the blanket and indiscriminate retention of the DNA profiles and fingerprints of 850,000 people arrested but never convicted of any offence amounts to an unlawful breach of their rights." The letter alledgedly goes on to strongly advise that any individual requests to have their details removed from the databases should be resisted until the government can get round to legislating on the matter. I'm not sure this letter actually says anything other than 'follow current procedures until we have new ones'. It is more an indicator of the emergent insanity of large bureuacracies than the machiavellian machinations of a government attempting to circumvent the European Court decision. That's not to say active attempts to get round the decision are not ongoing. I'm just not convinced this ACPO letter is anything other than bureaucracy behaving like... well... bureaucracy. The bigger question, possibly, is how we can avoid a likely incoming Conservative government next year from being infected with the current government's 'cure it with a database' affliction. Where is the Jefferson's moose that will actually show policymakers the complete and utter wrongheadedness of the database state mentality? Europeans, in Thomas Jefferson's time, considered the US to be vastly inferior in every way to Europe. The then famous French ecologist Compte de Buffon even widely proclaimed that all plant and animal life (including native Americans) in the US was inferior to European equivalents. In a effort to show de Buffon and other Europeans how wrong they were, when he was minister to France, Jefferson had a dead giant American moose transported across the Atlantic, stuffed and placed in the hall of his ministerial residence in Paris. 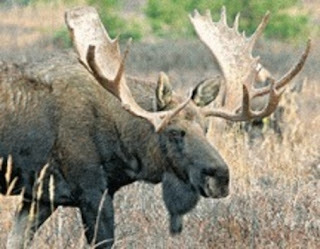 He believed that anyone who saw this impressive moose - an animal so enormous that a European deer could walk under it - could not fail to be disabused of their ideas of the inferiority of U.S. natural history. David Post has put this far more articulately than I am capable of doing but where is the Jefferson's moose for the database state, when even direct demonstrations of the insecurity of the systems that are being constructed result in a complete denial of the existence of a problem?